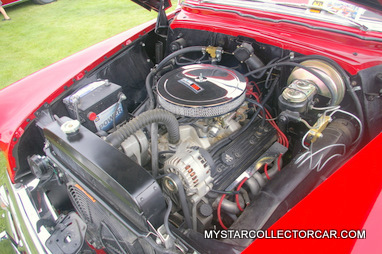 Barry Haner is a member of a giant, unofficial car club-the classic Chevrolet car club. Like many Chevy aficionados, he’s a huge fan of the 5-6-7 era plus he’s a big follower of the classic Corvette era. The ends justified the means in this classic car project. 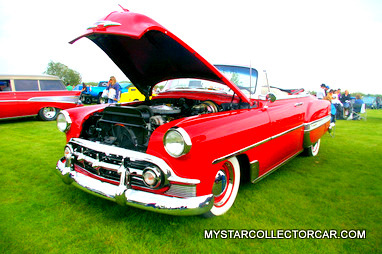 This 53 Chevy came in the same format as a 1950s era Monogram plastic model kit…in many pieces. Seasoned veterans of car projects rarely like to take on a disassembled box full of parts for one simple reason. Guys who do that to a project car are typically disorganized chimpanzees with a genius level ability to disassemble but no talent for reassembly. What is left after this nightmarish approach is a haphazard jumble of parts with no labels, no blueprint, no logic and no hope. That’s why these projects are typically sold for a fraction of the money that a whole car would have generated. Barry’s 53 Bel Air took 5 years thanks to the “no thought process teardown” that the previous owner used as a working strategy. He loves the car, but the experience left its scars as he said, “ In hindsight I’ll never, ever buy anything torn apart by somebody else”. Barry’s perseverance is a testimony to his will because this was not an easy build even without the 3 Stooges approach to the tear down. Catalogue after catalogue can be found for the Tri-Five (55-57) era of Chevrolet, but the aftermarket book for a 53 Chevy is as thin as a book on good drinking spots in Afghanistan. 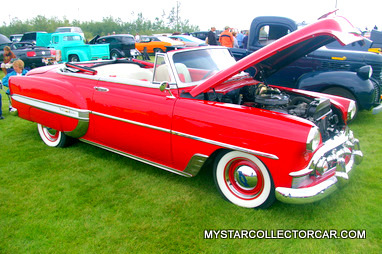 As a result, this car is actually an international citizen– as Barry reported,”its parts have been sourced from 6 different states in the U.S. and 4 provinces in Canada”. That’s exactly what happens when you take on a lesser-known car-you cannibalize many of its cousins. The results are spectacular. This is a beautiful resto-mod. Its appearance has a classy 50s stock look but once you get close to this Chevy you can see the tasteful functional modifications. The seats definitely aren’t stock and under the hood beats a bulletproof crate 350. 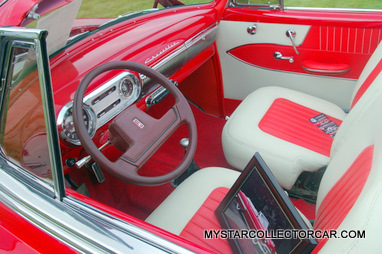 Barry installed a Nova front clip so you know that this 53 Chevy is going to handle significantly better than it did back when Rosemary Clooney was a force on your AM radio. As Barry said, “it drives absolutely beautifully”. This car stood out at a great show for one reason-it was simply in a class by itself. There just aren’t clusters of 53 Chevy convertibles at any car shows outside the city limits of Havana Cuba. The car is not quite done yet…that seems to be the war cry of every project but Barry is close to completion. 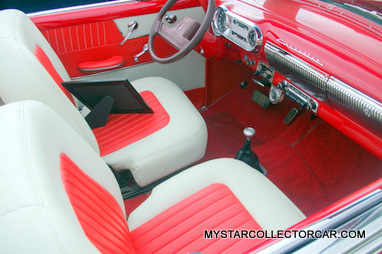 The steering wheel was being redone, the front bumper needs more attention and there are still a few extremely hard to find trim pieces that separate this car from being a 100% finished 1953 Chevy. That’s a pretty short list. But it came with a price. Barry reported that his first project “cost me double what I thought it would” but he loves the car and has no intention of parting with it. 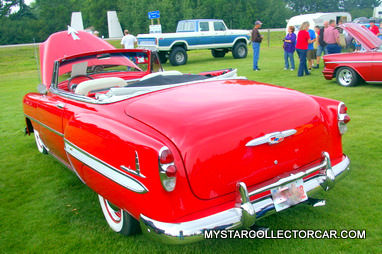 Cars like this 53 Chevy get a great deal of attention at shows simply because they are so rare that they are alien to casual observers. That’s a good thing-rare cars deserve respect. But what really deserves respect is Barry’s commitment to a very difficult project.